There are reams of articles and book meticulously preaching the art of matching food with the right wine. I’ve read most of them but at the end of the day these three simple strategies work for me. 1.Match the wine with the country and the region it came from. With hundreds of years of tradition-how can you go wrong? A fatty grilled Ribeye?-Californian Cabernet or Zinfandel….. Warm Goat’s cheese salad?-a steely Sancerre from the Loire. 2.Determine what the strongest flavour element is in the dish and either Attempt to match it or contrast it. (Thai, Szechuan, Curries etc.)  If there is not an accompanying wine culture that is a part of a culinary tradition I say “let it go”- that belies a simple truth- wine isn’t perhaps an appropriate beverage partner for that style of cuisine. Often “off dry” Rieslings, Viognier or Gewurztraminer are the standard wine recommendations to pair with these more exotic flavours. But I find that they are a bit of an arranged marriage. or Lassi-(a non-alcoholic yogurt based beverage) (alcohol doesn’t really work with Curries) with Chinese/ Asian dishes-Beer preferably Toboggan. Barbecue ( Grilled Meat Fish or Chicken) a chilled Beaujolais or Gamay.